Bedford County is a historical treasure. From humble origins as a trading post over 250 years ago, Bedford, originally named Raystown, has played a role in the formation of our county. Fort Bedford, now over 250 years old, played a pivotal role in bringing stability to the region. Later, George Washington visited the area and used it as a base to quell the Whiskey Rebellion. 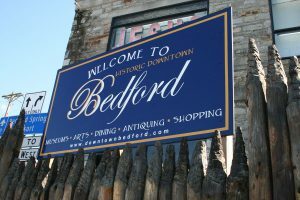 As the fledgling nation worked its way West, the main road West ran through the heart of Bedford County. Several local businesses are housed in structures that were once stage coach stops along that road–now known as Route 30 or the Lincoln Highway. The Golden Eagle Inn and Juniata Crossings Country Mercantile are two such businesses and both welcome the public. To the West of Bedford, near Mann’s Choice, the Jean Bonnet Tavern has been welcoming road weary travelers for over 245 years. Dr. Anderson played an important role in the area’s growth. In 1796, he purchased the site of eight mineral springs believed to have medicinal powers. In 1806, he built a hotel to accommodate the many visitors to the springs. Now the Omni Bedford Springs Resort, the grand hotel has come back to life after a $120 million restoration project. The Springs has played host to 10 presidents and generations of the nation’s wealthiest families. While the stories surrounding this historic facility are many, it has the distinction of being the only place outside of Washington D.C. where the Supreme Court has convened. 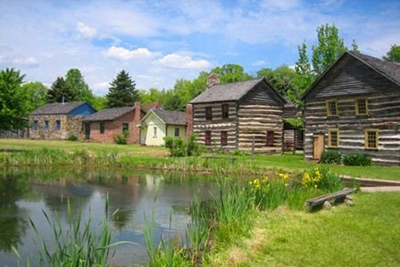 Visitors to the area are able to experience what life in the 17th century was like by visiting Old Bedford Village. This popular attraction showcases the architecture and lifestyle of an early American community. Staff, attired in period dress, answer questions for visitors and special events feature reenactments of various battles. Another popular destination for the historically minded is Fort Bedford Museum, which celebrated its 250th anniversary of the founding of the fort last year. The museum features many of the remaining artifacts from the fort, including a British flag that flew over the fort. The museum also houses a large collection of historical items from Bedford County sure to capture your imagination.